The Dragon expansion offers players even more choices and strategic challenges, including a new, dual-sided Inner Region for their heroes to conquer. The alternate sides allow you to face familiar terrain along a path that requires all new tactics, or to venture into the Dragon Tower, where a hero’s every step meets opposition by the Dragon King’s minions and leads him ever closer to an ultimate confrontation with the Dragon King, himself. 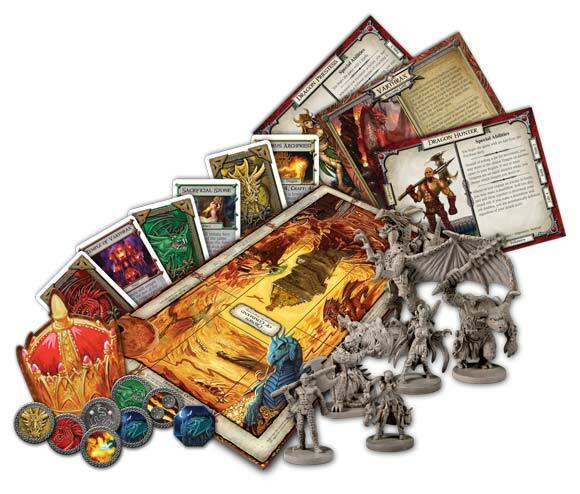 Talisman: The Dragon brings the Draconic Lords and their legions of dragons to life with over 300 new cards and tokens, and six new characters are introduced with dynamic miniatures. 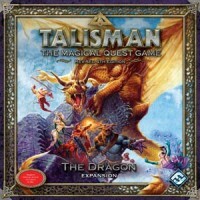 Add a Review for "Talisman: The Dragon"